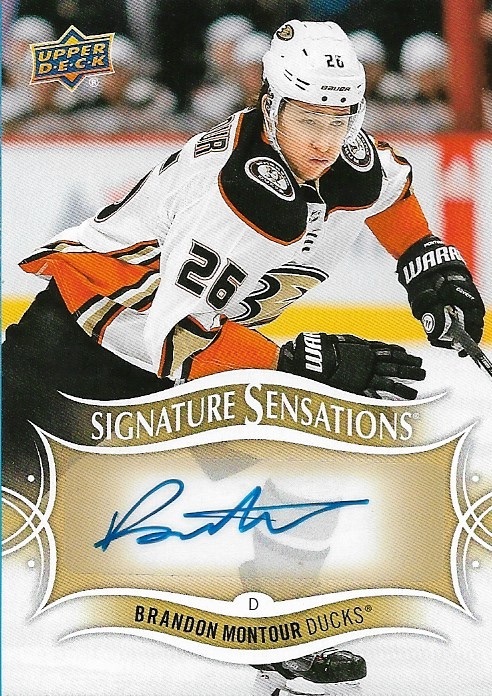 This month's mail includes 15 new NHL player signatures. The grand total now stands at 6,082 unique NHL player signatures for 80% of everyone to ever play in the NHL. I was tickled pink this month to get a letter back for Russia. The country is a black hole for TTM requests and of many tries, this is the first one I've EVER gotten back. 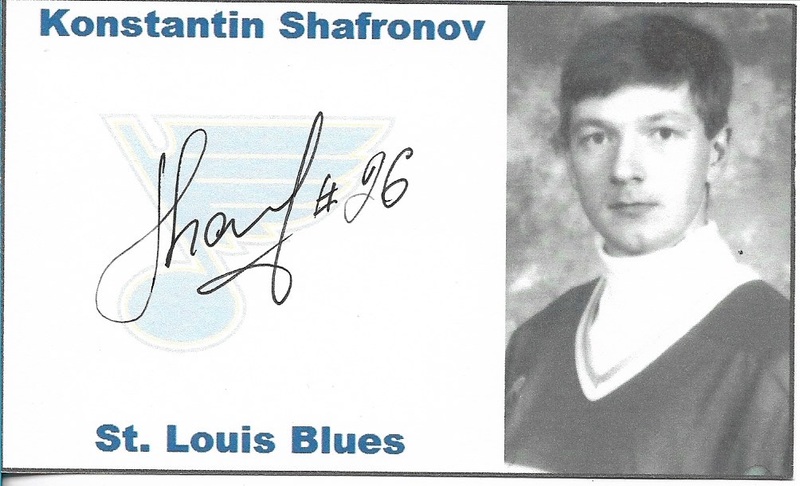 I had sent to Shafronov c/o his KHL team and included a card of Shaldybin, who just so happens to be an assistant coach on the same club. To my delight, both came back signed. These were two of the very last living Russian NHL players I needed to find. 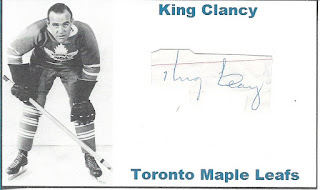 Francis "King" Clancy played in the NHL from 1921-1938. He's an NHL legend who was the league's top scoring defenseman of all-time when he retired. He won the Stanley Cup 3 times as a player and another 3 times as a coach. 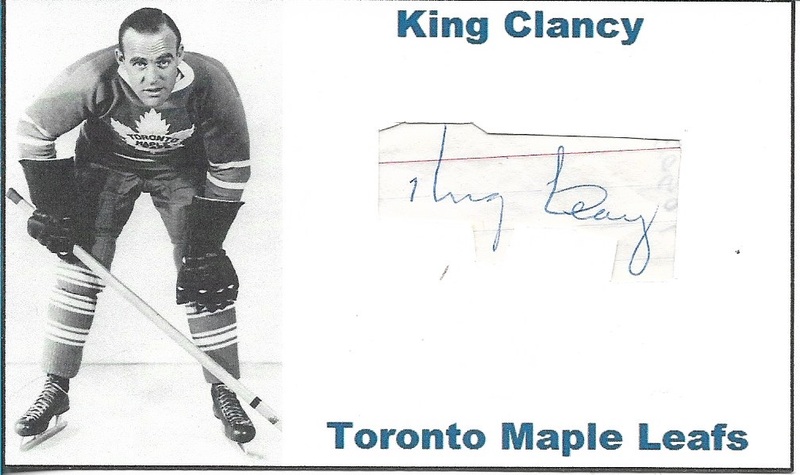 Clancy was inducted into the Hockey Hall of Fame in 1958. This autograph was a direct result of tirelessly searching ebay at night while I watch TV. I go through a mental list of key word searches and grabbed this cut for $20! I'm sure its authentic so that's a steal in my books. 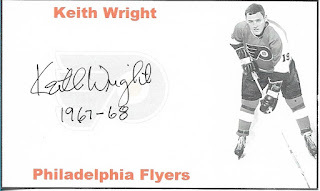 Keith Wright played 1 NHL game with the inaugural 1967/68 Philadelphia Flyers. Returns like this really make me question the reliability of the postal system. I know I've had many letters lost over the years but for many others I only have suspicion. I've tried Wright at this address 4 times over a period of many years. This one came back in record time and Wright noted that he was always happy to sign. Makes me wonder what on earth happened to the first 3 requests. 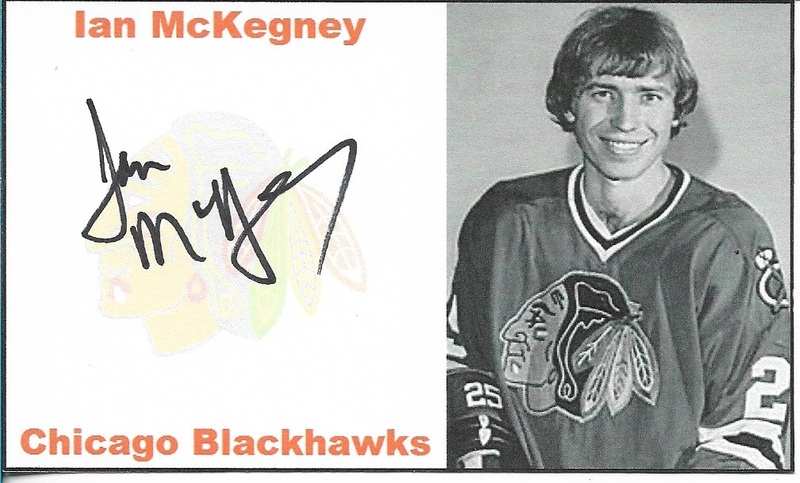 Ian McKengney played 3 NHL games with the 1976/77 Chicago Blackhawks. He took a very unconventional route to the NHL, playing 4 seasons at the University of Waterloo then a year in Sweden before signing with Chicago. 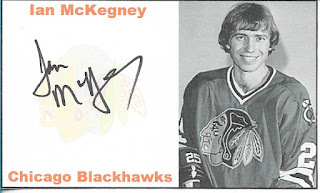 His younger adopted brother, Tony McKegney, also played in the NHL. From 1988 to 1991 Chris Felix played in 35 regular season and 2 playoff games with the Washington Capitals. The defenseman recorded 13 points during his short NHL career. He's also notable for representing Canada at the 1988 Olympics. 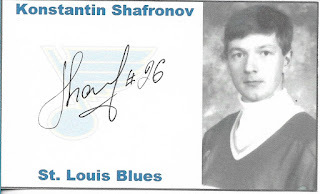 Kazakhstan native Konstantin Shafranov scored 2 goals and 3 points in 5 career NHL games with the 1996/97 St. Louis Blues. Internationally, he represented Kazakhstan at the Olympics in 1998 and 2006. 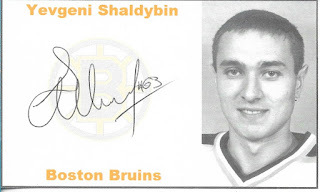 Russian defenseman Evgeny Shaldybin scored 1 goal in 3 career NHL games with the 1996/97 Boston Bruins. He spent 4 seasons in North American and the rest of his career was spent in Russia, where he played until 2011. This return also completes the 1996/97 year of debuts, 107/107. 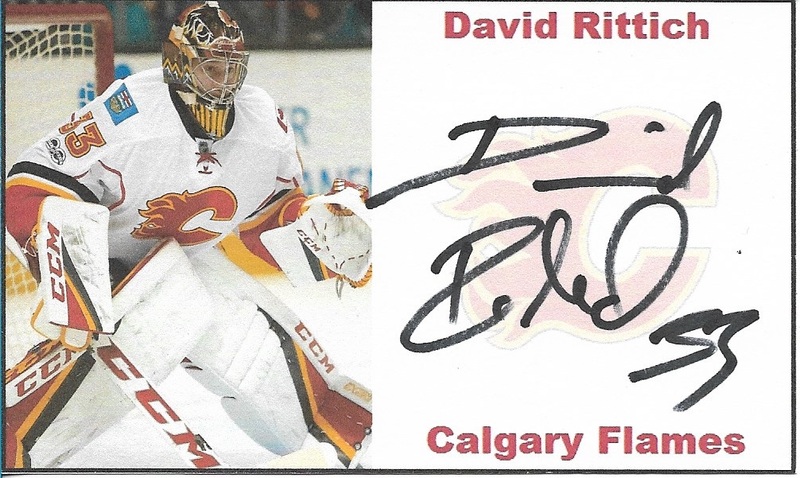 David Rittich was never drafted. A late bloomer, he was signed by the Calgary Flames as a free agent in his mid 20s. He's entering his second season as a full time member of the Flames. Internationally, he represented Czech Republic at the 2018 World Championships. Garrett Burnett was a feared enforcer who played 39 NHL games with the 2003/04 Anaheim Ducks. He recorded 1 goal and 184 penalty minutes in his NHL career. 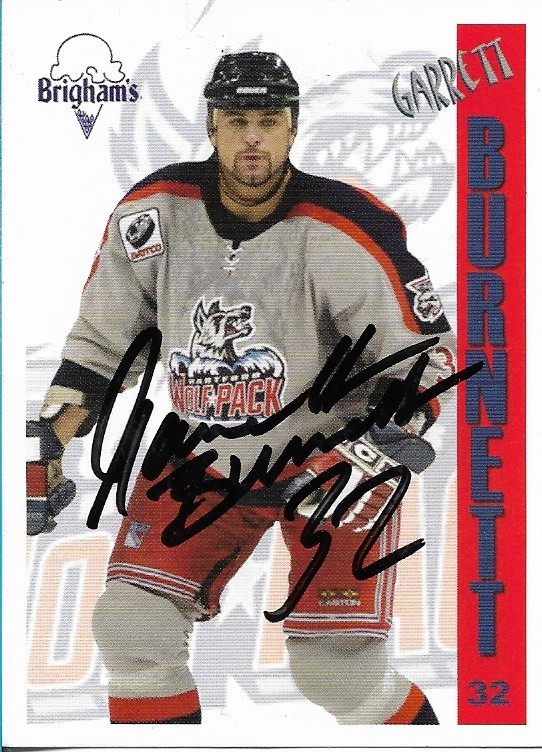 Burnett once racked up 506 penalty minutes in just 58 games with the AHL's Kentucky Thoroughblades in 1999/00. Interesting fact about Burnett, he did some acting in Vancouver during off seasons and had a small role as a commando soldier in the movie Mr. Magoo. From 2003 to 2007 defenseman Bryce Lampman played 10 games in the NHL, all with the New York Rangers. Internationally, he represented the USA at the 2002 World Junior Championships. Defenseman Steve Richmond attended the University of Michigan, graduating in 1982 and was later signed as a free agent. 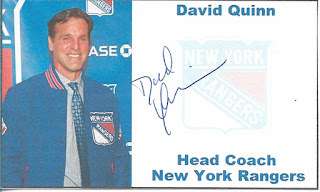 From 1983 to 1989 he played in 159 regular season NHL games, dressing with the New York Rangers, Detroit Red Wings, New Jersey Devils and Los Angeles Kings. 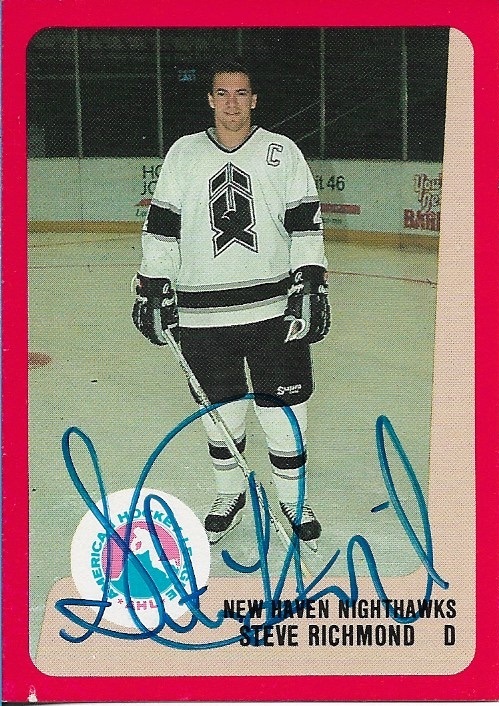 He was briefly a teammate of Wayne Gretzky's while with the Kings. His son, Danny, also played in the NHL. Steve Richmond recently won the Stanley Cup with the Washington Capitals as their director of player development. He had his name engraved on the Stanley Cup with the 2018 team. 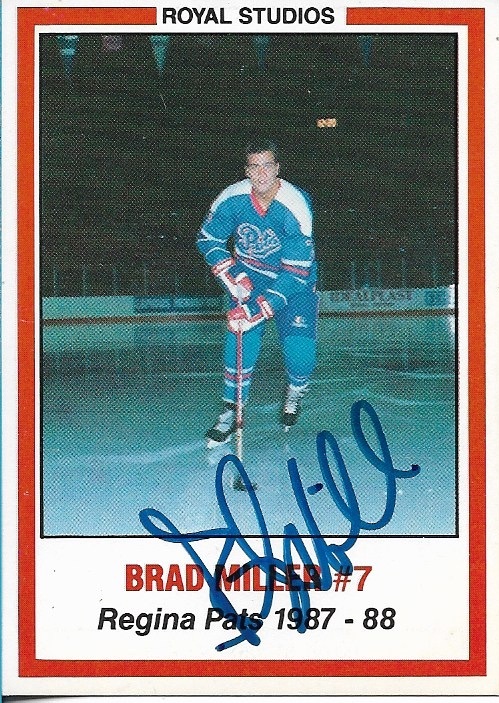 From 1988 to 1994 defenseman Brad Miller played 82 games in the NHL. 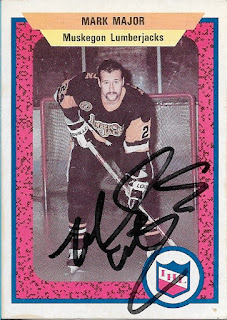 He was a member of the Buffalo Sabres, Ottawa Senators and Calgary Flames. 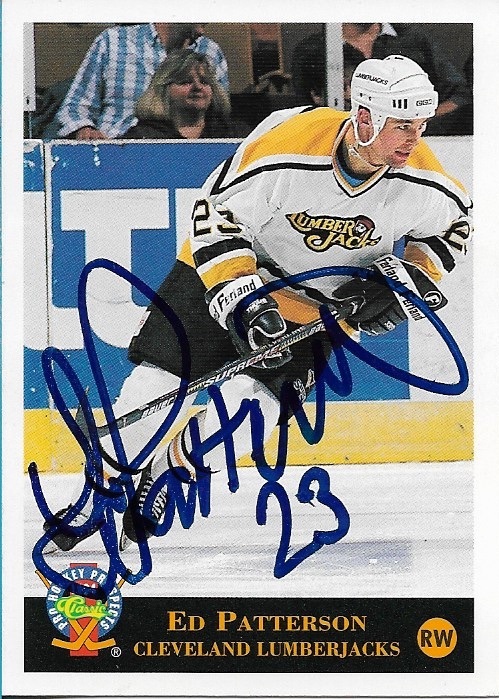 From 1993 to 1997 Ed Patterson played 68 NHL games with the Pittsburgh Penguins. He posted 3 goals and 6 points through his NHL career. Mark Major was a tough grinder who was drafted 25th overall by the Pittsburgh Penguins in 1988. He toiled in the minors, became a free agent, was signed by the Boston Bruins, remained in the minors and was eventually signed by the Detroit Red Wings. 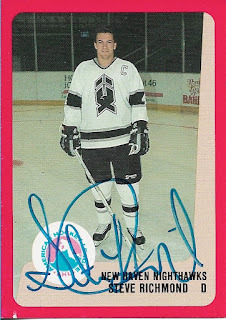 He made his NHL debut with the 1996/97 Red Wings, playing 2 career NHL games. He didn't record any points but did have 1 fight in the NHL, with Toronto's Tie Domi. The Toronto Maple Leafs drafted William Nylander 8th overall in 2014. His father, Michael, and brother, Alexander, have also played in the NHL. William is in his fourth season as a Maple Leaf. Internationally, he has represented Sweden at the World Juniors and World Championships. He won a Gold medal at the 2017 World Championships with Sweden. Defenseman Brandon Montour spent his first three seasons in the NHL playing for the Anaheim Ducks but was recently traded to the Buffalo Sabres. He is of Native American (Mohawk) ancestry and also excelled at lacrosse growing up. 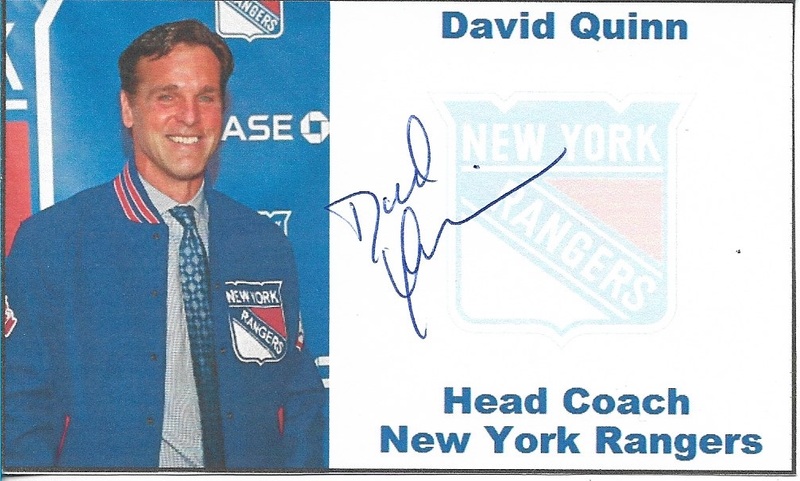 David Quinn has been the head coach of the New York Rangers since 2018. 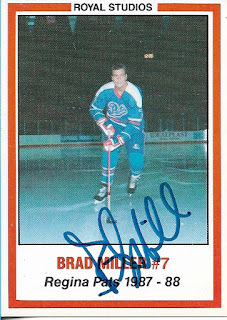 He did have a brief pro hockey career as a player but only reached the NHL behind the bench. He had previously served as an assistant coach with the Colorado Avalanche but most of his experience came in the NCAA or with the national hockey program in America. 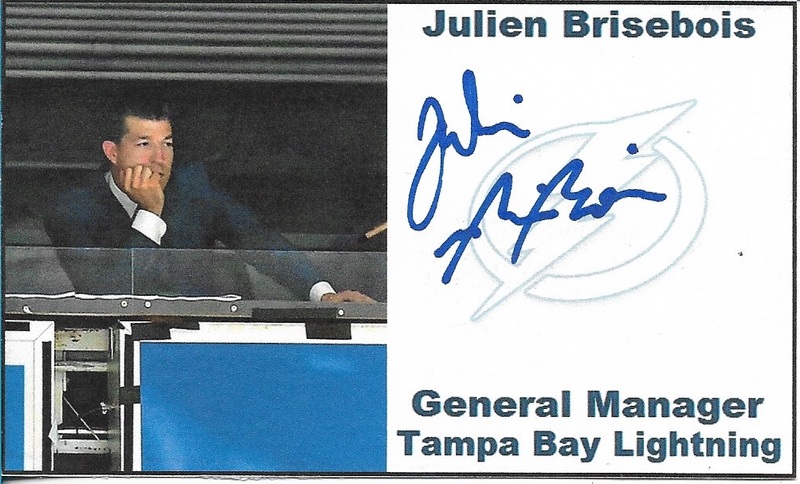 Julien Brisebois started his NHL executive career with the Montreal Canadiens, rising to the role of VP of Hockey Administration and GM of the team's AHL affiliate. In 2010, he was hired by the Tampa Bay Lightning to be the team's assistant GM. 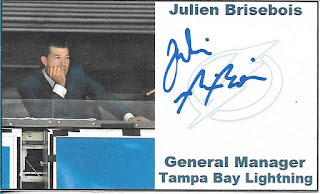 When Steve Yzerman left the team in 2018, Brisebois was promoted to General Manager. Defenseman Mike McNamara played 19 games in the WHA with the 1972/73 Quebec Nordiques. 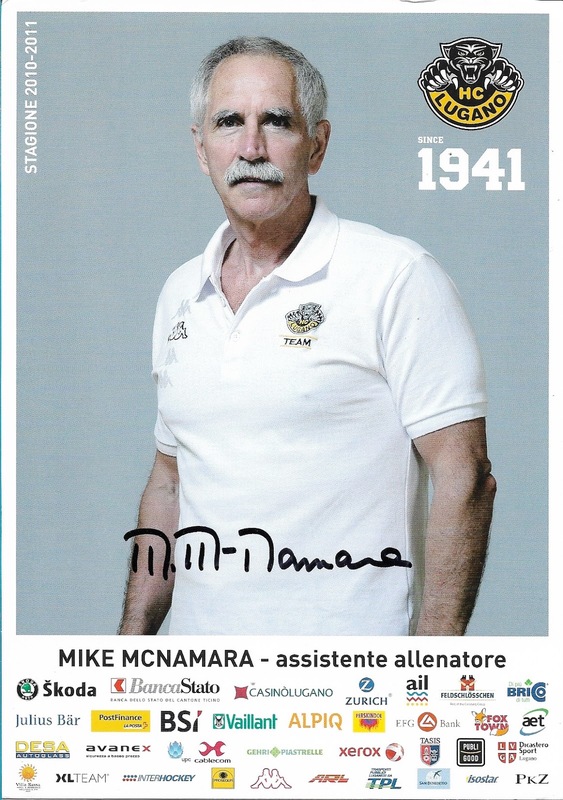 In the 1980s he moved to Switzerland to play hockey and stayed in the country as a coach. He continues to live and work in Europe. 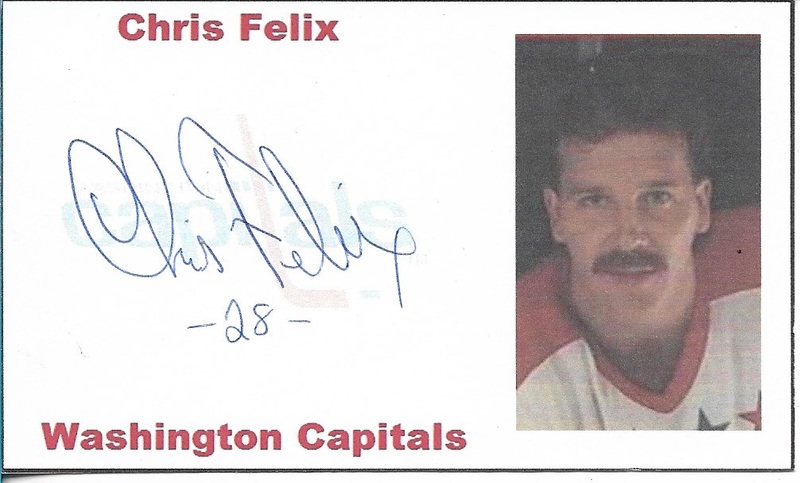 This signatures goes into the WHA autograph collection of guys who played in the rebel league but not the NHL. 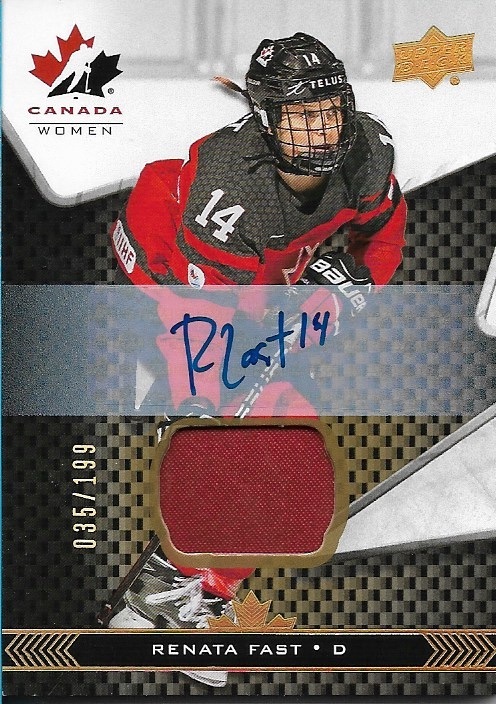 Renata Fast played with the Canadian national women's team at the 2017 World Championships and 2018 Olympics. She brought home a Silver medal from both tournaments. This goes with my Women of Hockey autographs. 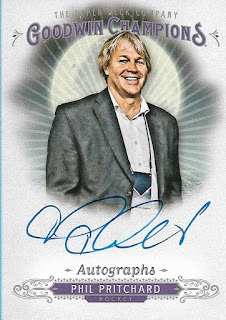 This is the fourth 'oddball' hockey autograph I have from this year's Goodwin set. I also picked up Olly Postanin and Jacob Ardown autographs, two guys made famous from their hockey related youtube channel - "On the Bench." 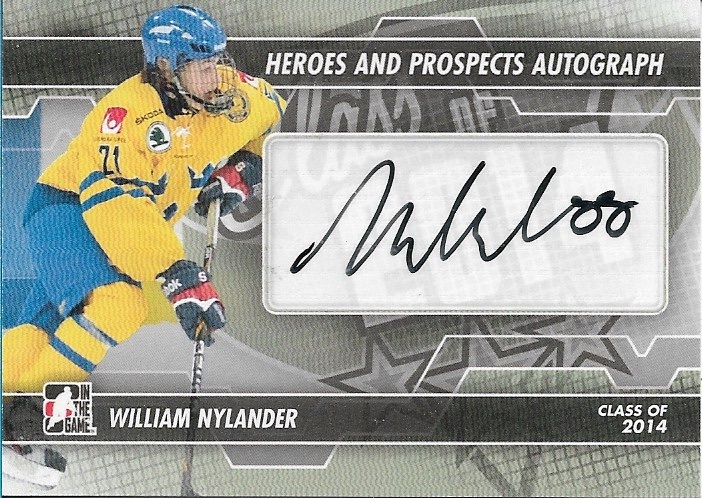 I also picked up a Nikko Landeros autograph, the first ever certified sledge hockey autograph card. Jaren Kendall currently plays in the Los Angeles Dodges system. 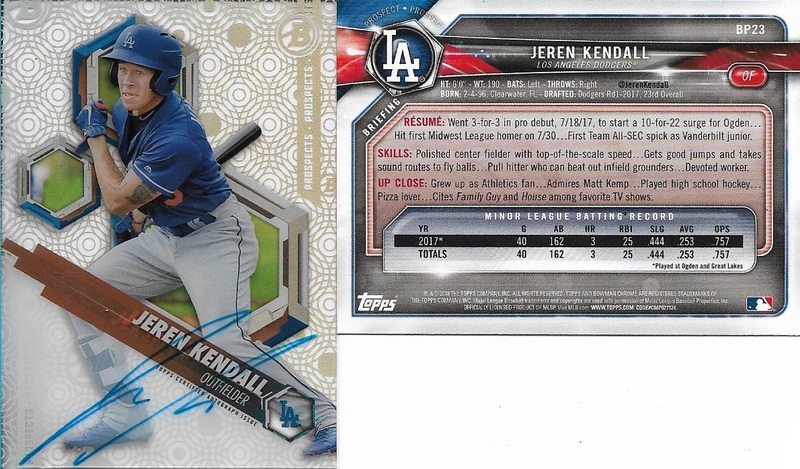 As the card notes, Kendall "Played high school hockey." This autograph and the next two go into my Baseball-Hockey autograph collection. 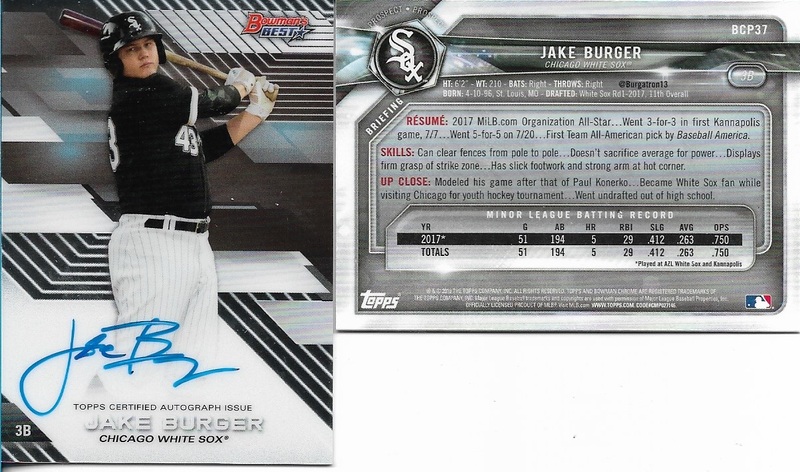 Jake Burger is a prospect in the Chicago White Sox organization. He was a 2017 first round pick who has a hockey backround. As the second card notes, he "Became White Sox fan while visiting Chicago for youth hockey tournament." 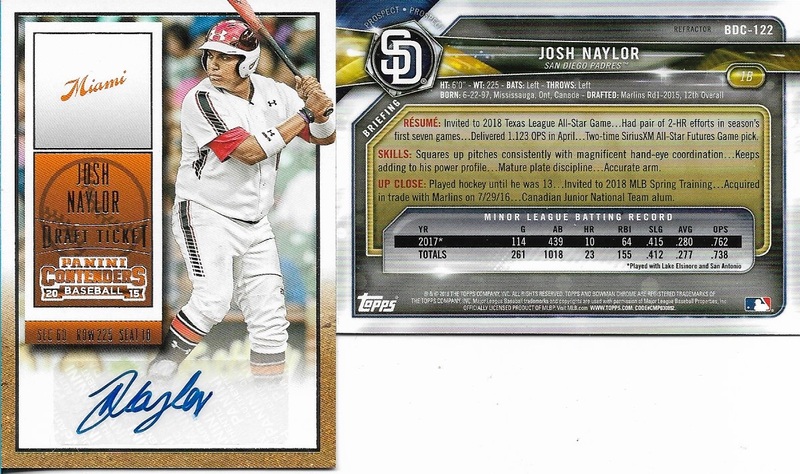 Josh Naylor is current in the San Diego Padres organization. 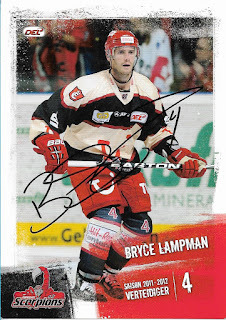 A Canadian, its noted on the second card that he "Played hockey until he was 13."